I have spent a good portion of my life being an all-or-nothing kind of girl. This was true in regards to, well, everything. All in or all out. Go big or go home. When it came to my health and lifestyle in my earlier years, my all-or-nothing mentality ran the show. 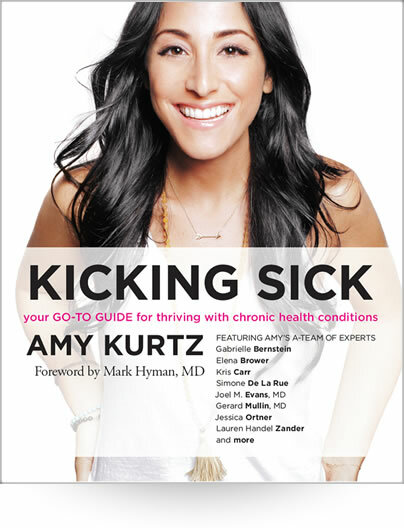 At any given time I was thriving in good health, drinking my green juice and making smart food choices. Or I was living in a foggy/low energy/low vibe haze of junk “food”, vente coffees with an extra shot of espresso for basic functioning purposes, and a few too many glasses of wine. After suffering for a decade from chronic health conditions, I finally learned truly and deeply the importance of a healthy and consistent lifestyle. I also learned that what I put in my body directly reflects how I will feel. I learned, in short, to become mindful in my approach to food and drink and how mindfulness affects my well-being. I found out, as a Psychology Today blog described mindfulness, how to pay attention and be aware of what was happening both inside and outside myself. Now as the days get longer and the sun gets higher many of us look forward to tequila-and-guac season and rooftop parties galore. Emerging from our winter caves for some playtime makes it easy to let loose a little and ignore the healthy and mindful food choices of more careful days. But … I have become a firm believer that slowing down to eat mindfully with intention is crucial to developing a healthy and happy relationship with the food that fuels us. Fortunately, there are many ways to work mindfulness into your daily food habits without moving, changing your name, or fasting. The trick here is to turn mindful eating habits into daily rituals that are compatible with your lifestyle. Otherwise, they won’t stick. Creating a personal ritual around food and the way you approach meal times is Queen. Here are some of the tips and tricks to slowing down that helped me become a mindful eater. Part of being a mindful eater is not only awareness of what you are eating but also where it comes from. Be a smart consumer. Grow a small garden and plant your own veggies, or if space is too limited, create an herb garden. Stroll through a local farmers market and ask questions. The farmers will enjoy explaining their bounty to you. When you take the time to grow or buy thoughtfully, you are more likely to make smarter choices about what you are eating, where it comes from, what its benefits are and enjoy it more. Wolfing down cheese fries or pizza because you are starving and forgot to eat all day goes against everything that is mindful eating. Never mind what you are eating — at the moment I am talking about how. Did you know that it takes the stomach 20 minutes to register that it is full? Did you also know that it takes around 30 chews to have the food fully ready for digestion? Whatever is on your plate, stop for a minute to remind yourself there’s no need to race to the end. Make the mindful choice to slow down and savor the food that fuels your body. Enjoy the flavors, savor the taste, pay attention.. Take it in. Yup. You heard me. Turn off the phone, TV and all other total distractions. Our life is full of distracting things and a TV blaring in the background is certainly one of them. Choose to make mealtime a social time or family time or even a silent time. At least several times a week, make eating a good meal your choice, not just something you have to do fill your stomach while you zone out. Zone in. Have an attitude of gratitude at every meal and for the food with which you are nourishing your body. You’ll find that when you take a few minutes to be consciously aware of what makes you grateful, the food on your plate, the roof over your head, the people you love, you shift into a more balanced and awake state, one in which you celebrate your present moment. Food has the ability to change the biology in our body. Food is medicinal and it is important that we relate to it that way. 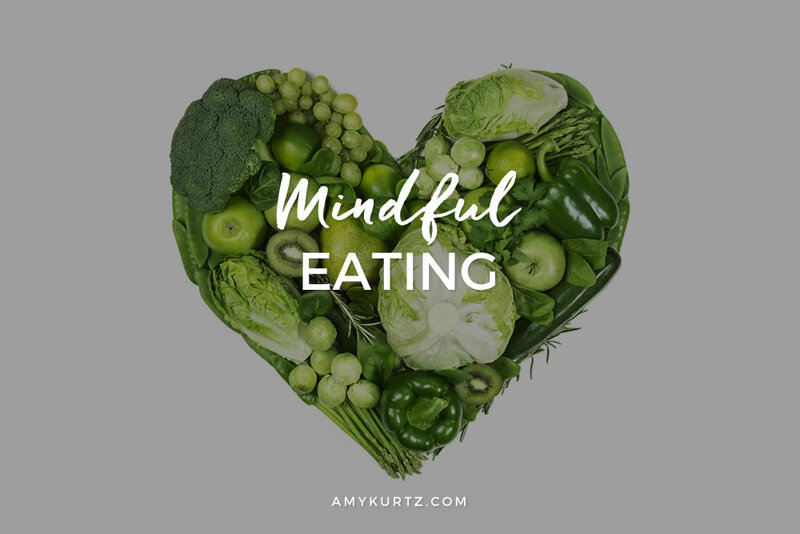 Mindful eating is a commitment to respecting and appreciating both your body and the food you eat every single day. You don’t have to do it all at once in regards to your diet – try one mindful thing at a time and then add a new one. With summer in full effect, build up some armor now against temptations. These will help you take care of your body, mind and soul in a new way and make for a healthier, more balanced you.